I am reviving this blog for a couple of weeks to record my upcoming trip to the 64th Annual Workshops and Scientific Session of the Society for Clinical and Experimental Hypnosis in Berkeley, California, across the Bay from San Francisco. This venerable Society was founded in 1949 following the success of hypnosis on the battlefields of World War II. SCEH formalised these clinical successes as well as capitalised on an experimental history as long as any other area of psychology (and perhaps longer than psychology itself). My personal history in hypnosis also is entwined with SCEH. My very first international conference was SCEH's 45th Annual Meeting way back in 1994. It was held in San Francisco's Hotel Nikko in Japan Town. My supervisor trying to get us into a bikie bar! It will be lovely to be back in San Francisco at the same conference nearly 20 years after I first attended; seeing some of the same faces again. 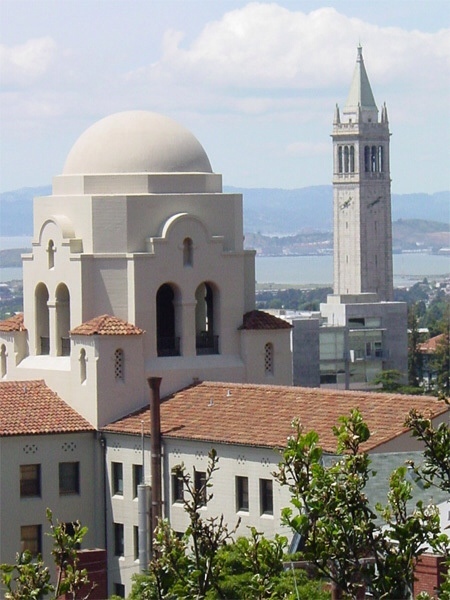 Following my PhD I spent time as a Visiting Postdoctoral Fellow at the University of California, Berkeley, working in Professor John Kihlstrom’s laboratory and living in Berkeley’s beautiful International House. I-House stands at the top of the Berkeley campus, at the foot of the Berkeley Hills, overlooking the Golden Gate Bridge and the Bay. The building itself is gorgeous; built in Mission style and opened in 1930. Although I have been back to San Francisco many times since that postdoc year in 1998, I have not been back to Berkeley. I am looking forward to it. So I will post to let you know the latest from the world of hypnosis and from San Francisco, one of my favourite cities in the world. 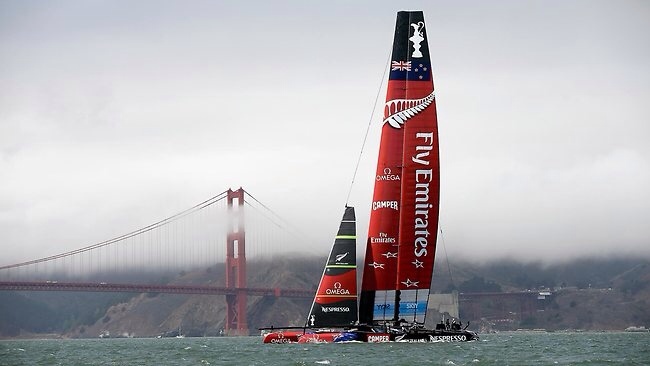 If only the America's Cup was still on! 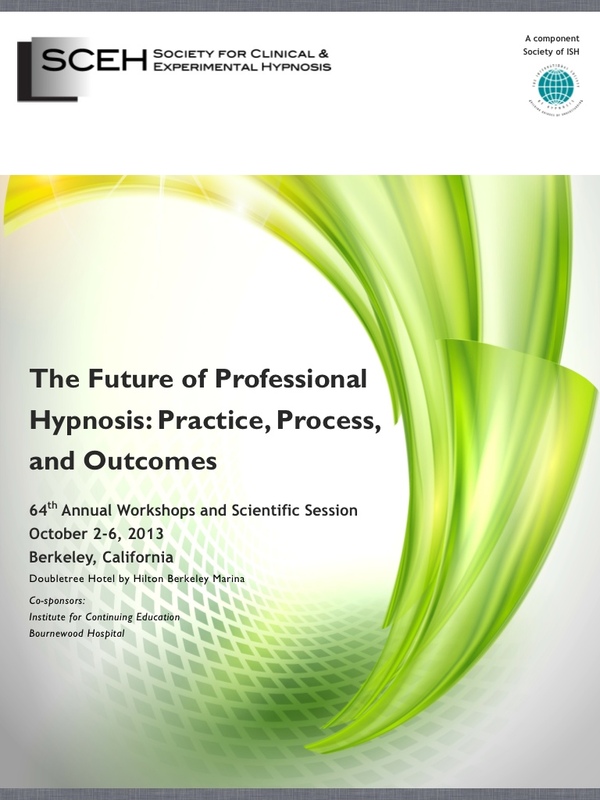 This entry was posted in Conferencing, Hypnosis, San Francisco, SCEH on September 29, 2013 by Amanda Barnier. Have a great trip, Amanda. Really, really good to catch up with you and yours on the weekend – we’ll make sure we find some more jokes for Oliver before our next catch up!